FEATURES High-quality PVA rubber head with high water absorption, strong decontamination ability and durability. 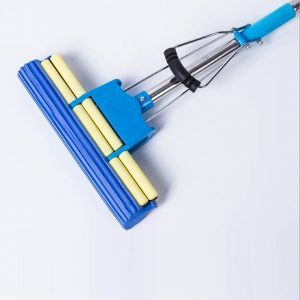 Retractable rod, suitable for all types of people, saving time and effort. It adopts high-quality thick stainless steel with strong bearing capacity and high quality and durability. The handle can be hung for easy hanging and storage, and does not occupy a place. Thickened dewatering pull handle, not easy to break. 1. 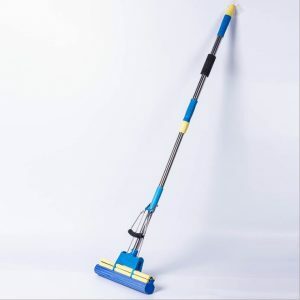 The head of the water-absorbing mop needs to be kept moist frequently. If it is not used for a period of time, it will become hard. When using it again, it must be referred to the first method of use and can be used again. 2. Some people have towed the floor and washed the mop head. They like to put the balcony on the sun. 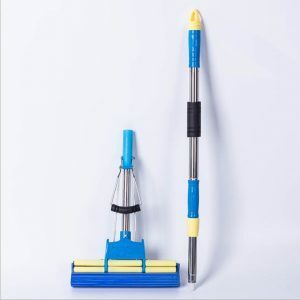 The water suction mop can never be like this. Because this will promote the aging of the rubber head, remember not to expose to the sun.